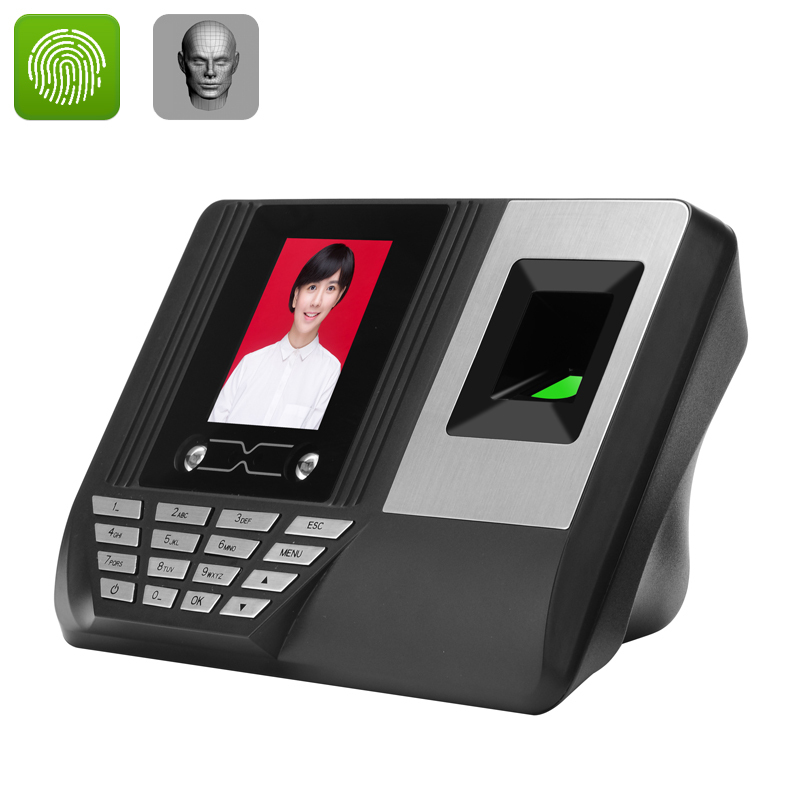 Successfully Added Biometric Time Attendance System - 300 Facial Templates + 3000 Fingerpint Templates, 100000 Storage, 2.8 Inch Display to your Shopping Cart. Get a comprehensive fingerprint and facial recognition time attendance and security system for your small business, office, storage facility and more. The terminal comes with the support for 300 facial templates as well as 3,000 fingerprint templates and can store an attendance log of up to 100,000 items. Impress your visitors and co-workers with a high-tech attendance and security system. With it, you will be able to simplify attendance tracking, improve office security and upgrade your office tech! The fingerprint and facial recognition system supports 300 facial templates, 3,000 fingerprint templates and can keep a storage log of up to 100,000 items. You can also set a pass code for access. It allows you to group visitors into departments, so that you can always monitor the arrivals and departures of co-workers. Implementing this biometric attendance system for your business streamline the workload of your HR department. If there are sensitive areas in your company that you would like to limit access to (storage facilities, document archives, control rooms, etc), this biometric system, attached to an electronic lock, will provide an extra level of security. Facial recognition can authenticate individuals based on their facial structure and make sure that no un-authorized individuals get though the door. The 2.8 inch HVGA display and keypad offers a simple intuitive interface and an easy control system. The Fingerprint + Facial Recognition Terminal comes with a 12 months warranty, brought to you by the leader in electronic devices as well as wholesale fingerprint and facial scanner systems..